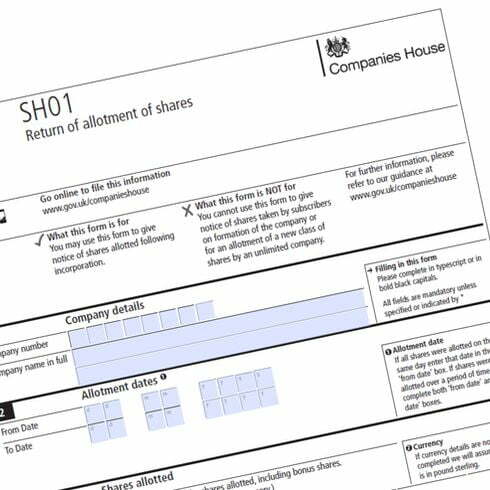 Companies House Document Filing - Helping you file company documents. With many years of experience filing documents at Companies House and HM Revenue & Customs our company formation team can assist you with your company’s forms. Having submitted tens of thousands of documents we assist many of our customers with all of their company compliance matters. Missed deadlines and late filing can cost your company hundreds or thousands of pounds in penalties. Failure to file a document can also lead to your company being struck of the register. Professional advice and assistance with Companies House can avoid unnecessary fines and incorrect document submissions. 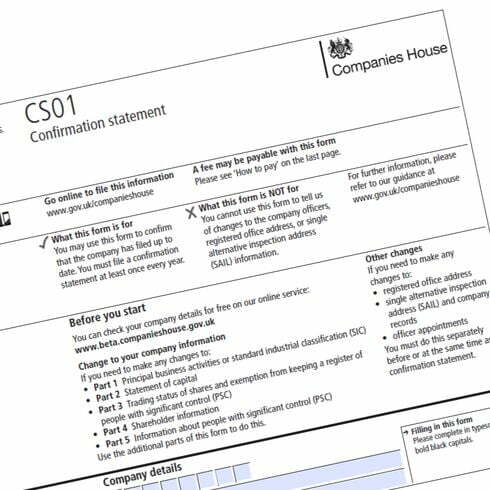 We can submit your Confirmation Statement online at Companies House for you. This document is used to update the public register with changes to your company structure. It replaced the Annual Return at the end of June 2016. Once we have confirmed your company data the submission can be completed in just a few hours. Make sure your company details are correctly recorded. Confirm the registered office, directors, secretary, SIC code, share capital and shareholders details are all correct. 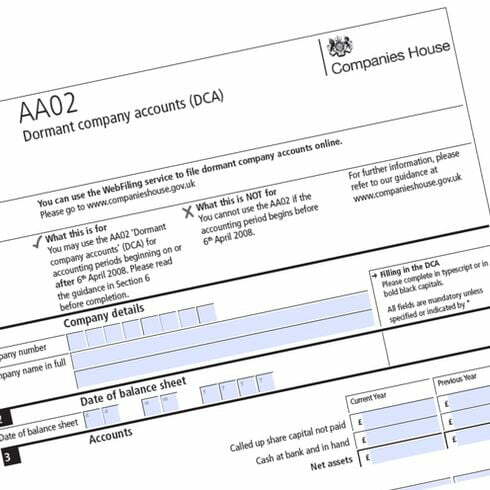 Non trading companies can submit dormant accounts to Companies House. Our efficient service will ensure your dormant accounts are accepted by Companies House in just a few hours. It is essential that all company accounts are filed on time to avoid a penalty. Using the company authentication code we can file your company’s dormant accounts in just a few hours. During the life of your company you may need to adjust the share structure or add new shareholders. We can assist with restructuring your company and update Companies House. You can add new shareholders, increase share capital, add a new share class or change the value or currency of shares. Whatever your needs we can assist you in filing the correct documentation. Changing a company name can be done quickly online. 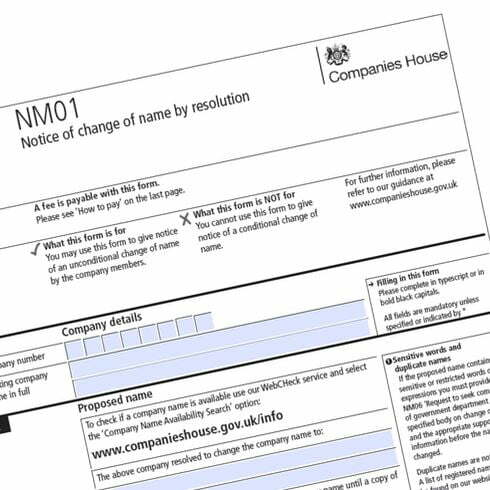 Our service includes checking the name for suitability and availability and filing the correct forms at Companies House to ensure your name change application is accepted. Using the company’s authentication code we can file the name change in just a few hours. With over 20 years of experience, we can file most documents online at Companies House in just a few hours. Other manual forms can also be prepared for the company director's signature. Avoid errors with your company paperwork and let the professionals submit your documents. We support new and existing companies every day of the week. For advice on filing your company documents please contact one of our trained Companies House experts.